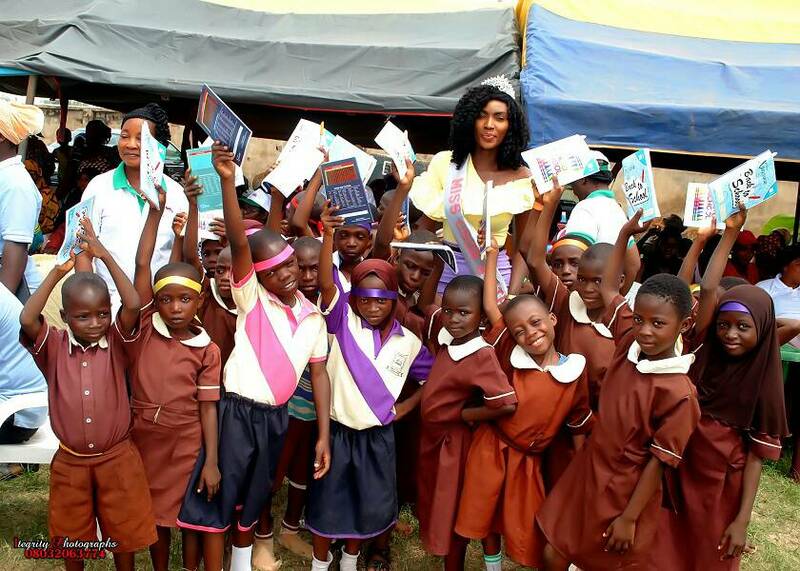 Miss Osun, Justina Ilesanmi has donated writing materials to pupils of Osun public school in Osogbo. 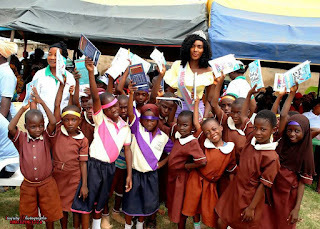 Presenting the writing materials to pupils of Anthony Udofia Elementry School, Oke-Fia, Miss Ilesanmi charged the pupils to take their education seriously. 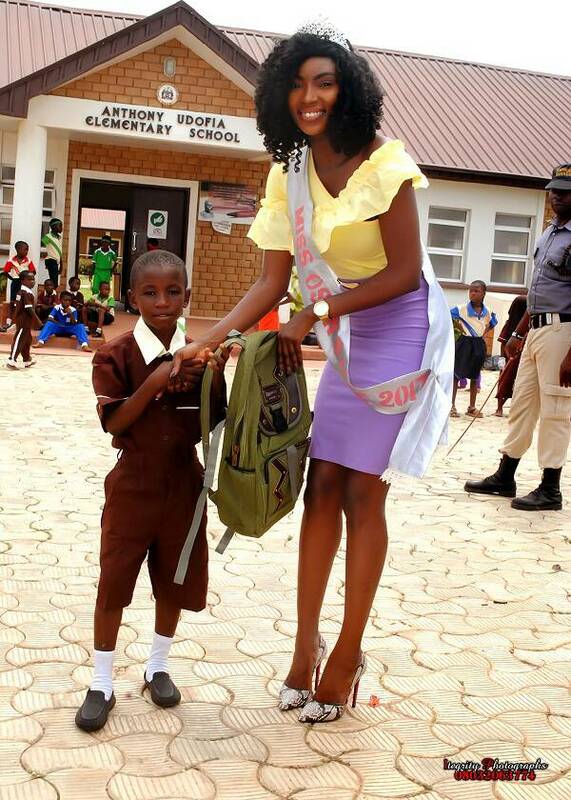 Miss Osun during the visit to the school met a male pupil, Abdulraman Aleshinloye, who was abandoned to his grandmother by his mother without necessary provision for his education. 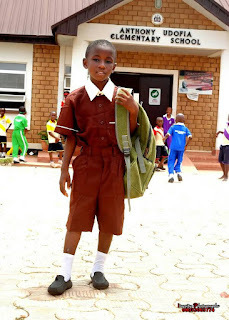 The pupil had no bag nor writing materials. 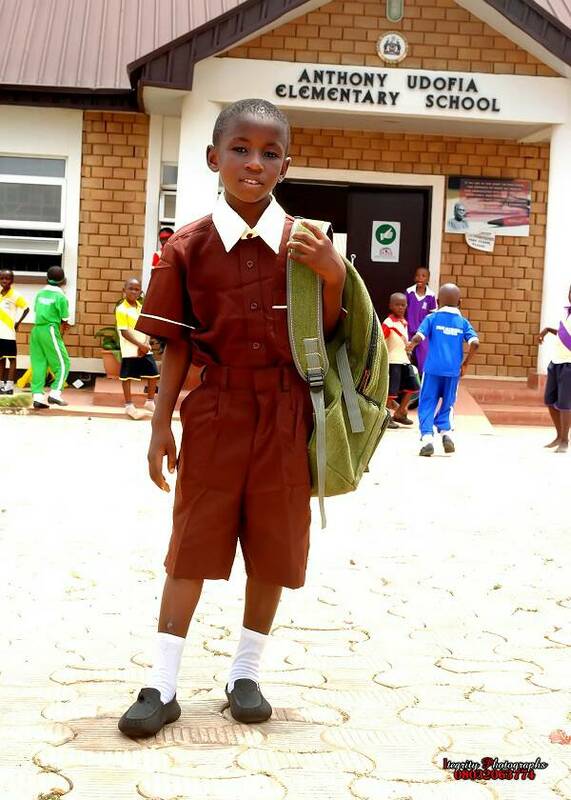 But Miss Ilesanmi took pit on the boy and bought a new uniform, footwear, school bag, socks and writing materials such as pencils, pen with 17 exercise books which make the total number of subjects he takes. She admonished teachers and pupils of the school on the need to strive harder to attain excellence in their academic career. Ilesanmi's next project would come up on the 29th of March 2018 at OSBC with the aim of providing food items to the less privileged families who would attend the event with vouchers worth substantial amount for shopping at the event.